Don't you think that the Pink Granite Coast in Brittany (France) deserves more than a selfie? This week, our team was in Bretagne to finalise the details for a summer installation in an amazing location - stay tuned! We took this opportunity to unlock the full visual potential of this lovely region and organised a demo session in Ploumanac'h. The Pink Granite Coast, so-called because of the colour of its rocks, is one of the most beautiful stretches of Brittany’s coastline. The area is renowned for its unusual rock formations, the best of which can be found on the coastal path between Perros-Guirec and the port of Ploumanac’h. We concentrated our tests around the lighthouse Mean Ruz. Built in 1860 and destroyed in 1944, it had been rebuilt in pink granite in 1947. The view is beautiful, and the huge pink granite blocks are impressive. At first, we went to Victoria Peak - Hong Kong Island's highest point and a landmark of the Hong Kong skyline. Before flying back to Brussels, we've made a stop in the Nan Lian Garden - a Chinese Classical Garden in Diamond Hill. The garden has an area of 3.5 hectares. It is designed in the Tang Dynasty-style with hills, water features, trees, rocks and wooden structures. It’s true that nothing warms you better than having a great time on a cold winter evening. 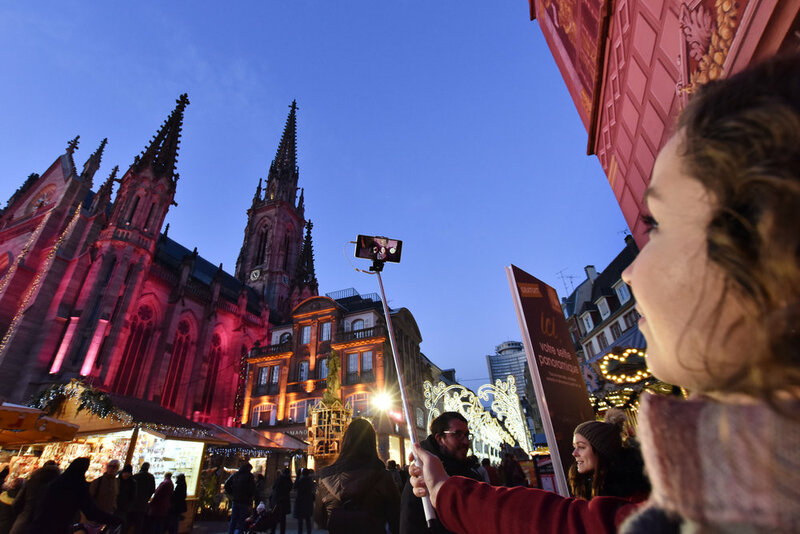 Since last weekend, hundreds of locals and tourists who visit the traditional Mulhouse Christmas market are getting on the Ferris wheel, sipping hot wine, tasting churros with chocolate... and taking their panoramic selfies. 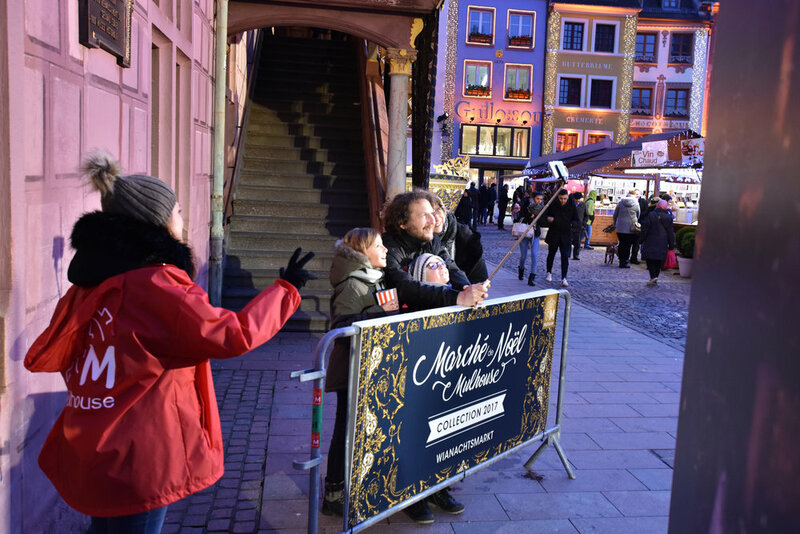 The fun experience and a magical view attracts a lot of curious people to capture their best moment while enjoying the market. 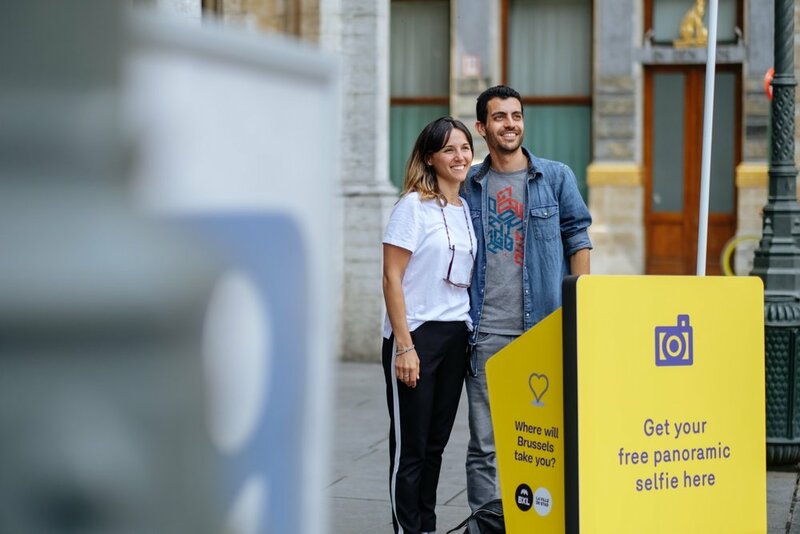 You also have the chance to take your panoramic selfie with your family and friends every Wednesday, Friday, Saturday and Sunday and share it with others. 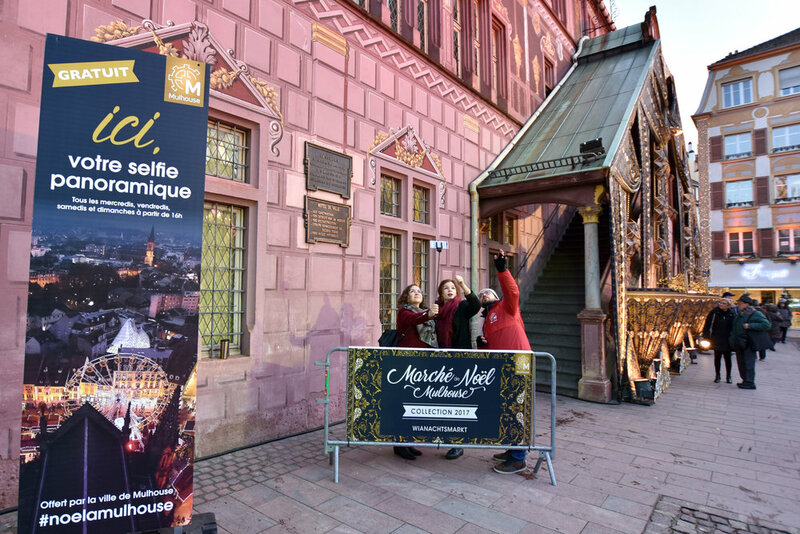 So, put on your gloves, your smile and come to Mulhouse! 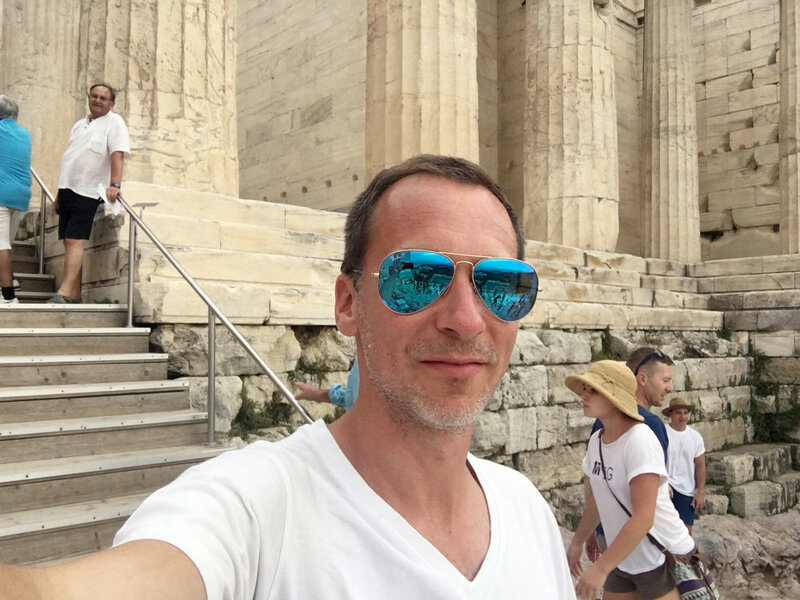 Is Athens ready to take the most out of tourist generated content? Selfie vs panoramic selfie: the contest! We were recently asked to make a comparison between a regular selfie and a panoramic selfie... Which one will be the most efficient on social media do you think? 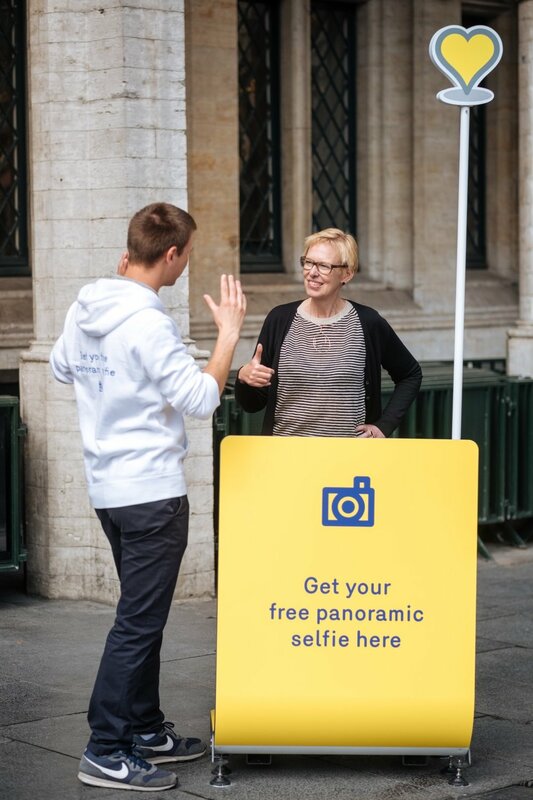 Over the last 2 weeks, Panora.me has been running tests on its permanent panoramic selfie installation at Grand Place, Brussels. 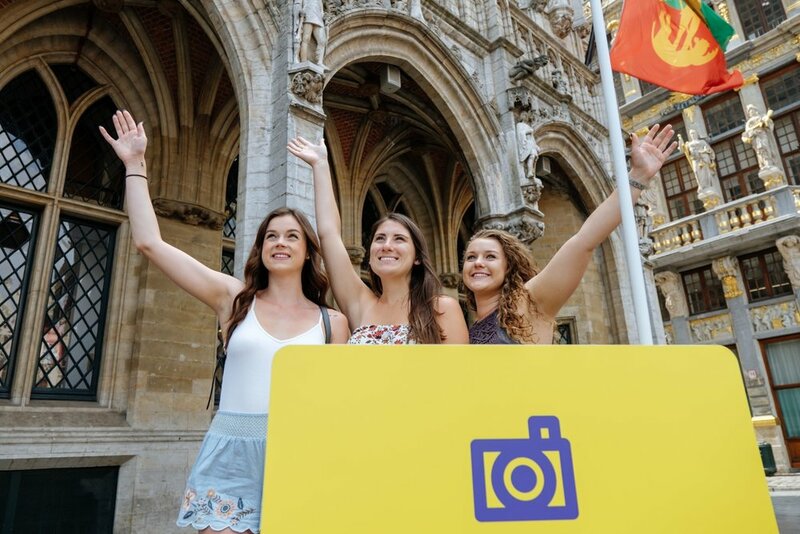 We've been invited by the tourism authorities of the Namur Province to present our panoramic selfie solution to the main tourism actors in the region. The meeting was held at the Citadel of Namur and this was a good occasion for a demo! First tests for permanent installation at the Atomium, Brussels! The Brussels Comic Strip Festival is the main event for all comic strip fans. 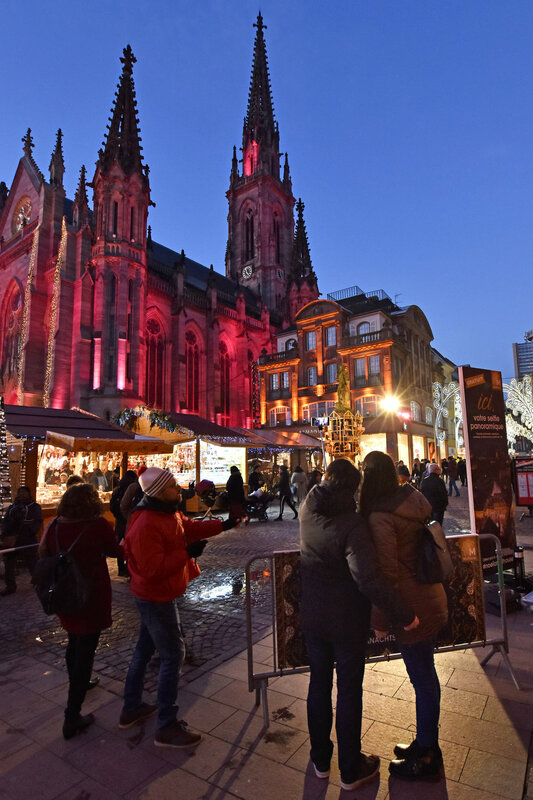 Whether young or old, amateur or expert, tourist or Brussels local, merchant or buyer, there is something for everyone in the wide variety of activities on offer. 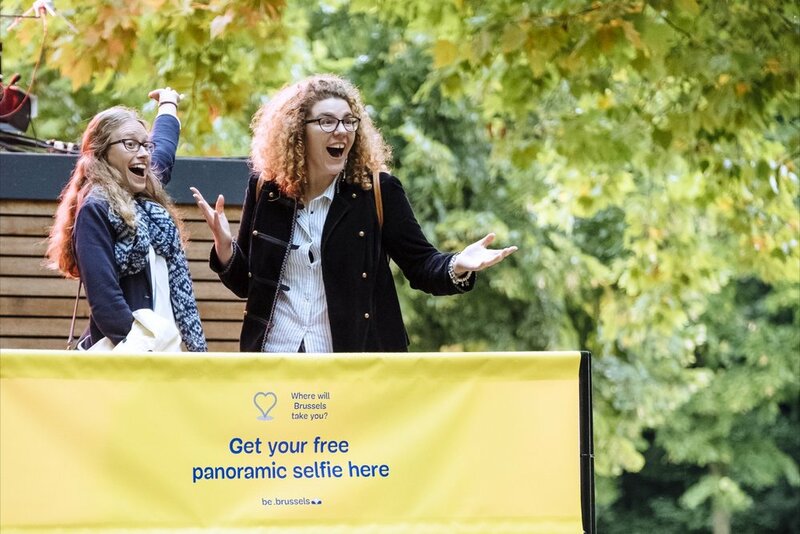 For this 8th edition, Visit Brussels (the Brussels tourist agency) asked us to set up a panoramic selfie experience in the Royal Park. 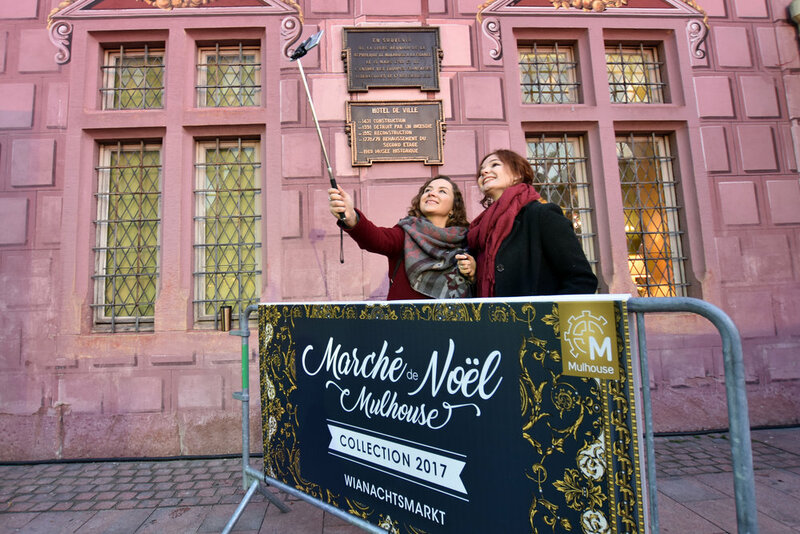 Over the 3 days, enthusiast's participants coming from Brussels or being in town for a city-trip made no less than 600 panoramic selfies... Here is an example ! 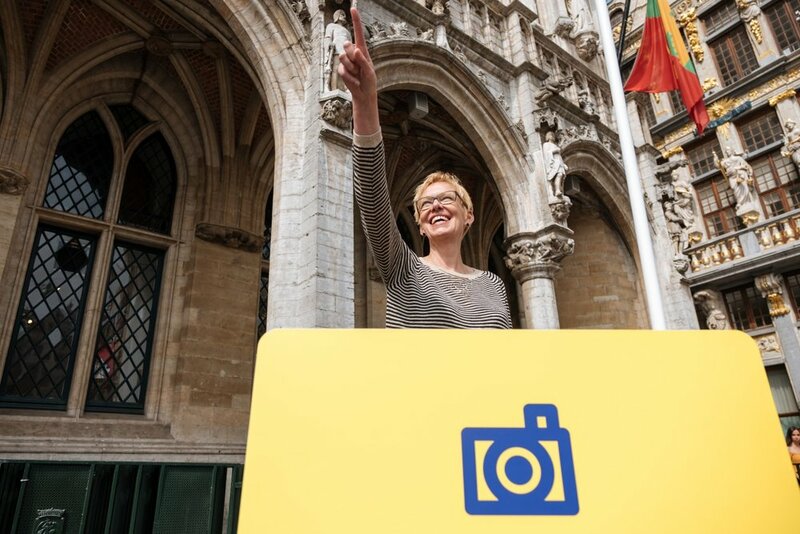 The panoramic selfie set up will again be used exactly at the same location on next weekend for the Brussels’ culinary festival, eat! BRUSSELS, drink! BORDEAUX. For this first collaboration with the City of The Hague, tourists were invited to make a spectacular selfie at the Pier in Scheveningen with the skyline of The Hague on the background! 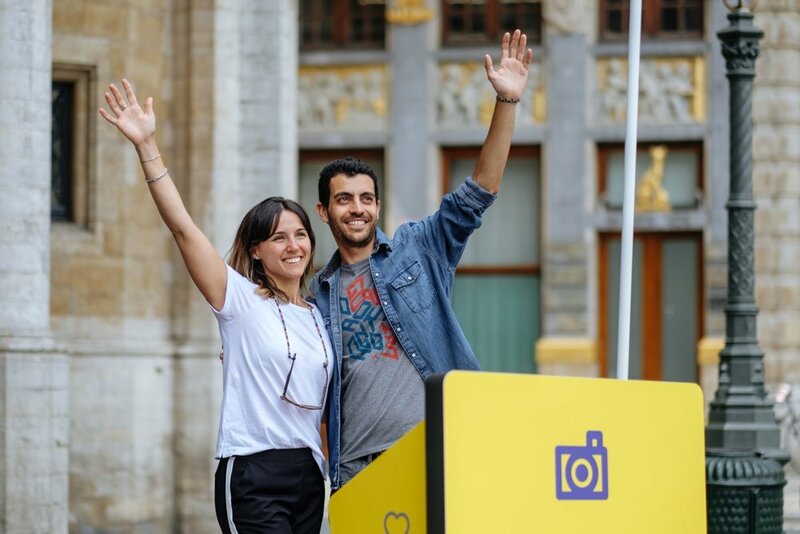 From Friday 21st until 23rd July, the panoramic selfie technology was experienced for the first time in the Netherlands. Our superzoom photo device was installed on top of the famous Pier in Scheveningen - an icon on the Dutch coast. With its light, broad thoroughfares, industrial décor, traditional food trucks, a Ferris wheel, a zip line, hotel suites and relaxed beach atmosphere, The Pier offers visitors a unique experience in a historical location. New demo at Atomium shoot from the roof of Palais 5, Brussels Expo! Today, we were lucky to make some tests from an amazing place: the roof of Palais 5 at Brussels Expo. Built in 1935 for the World Exposition, this building offers a breath-taking view on Brussels and the Atomium. Have a look at our demo!